It has been one of our goals to seek no further deterioration of the catchment so that indigenous flora and fauna can survive and flourish. The Listener article, A Wing and a Prayer, (Listener, July 7-13 2018) had a sobering message – “the shocking decline in birds worldwide is a disaster of humanity’s making”. New Zealand is no exception.Jan Wright, in her 2017 report “Taonga of an Island Nation”, wrote “One in every three is not far off from following the moa and many others into extinction. The situation is desperate.” The Tauhou (silver eye, waxeye) population has halved over the last 15 years. Our Auckland neighbours have been intrigued by the noise of the Bellbirds in their Camellia in the early morning. It makes me realise how special this catchment is. I haven’t seen a Bittern but recently, when fishing the Hole on the lake, I have heard the booming call of the Bittern. The sight of the Whio on the river, and the work of those working to increase their numbers, is heartening. I value the establishment of a riparian corridor of native vegetation which is essential as a food supply for the native birds and insects. There has been a significant increase of numbers enjoying the various activities available in this catchment. The river has seen much activity. Anglers have had success and there have been some nice fish caught. I have been impressed with the ability of some younger anglers and watched as they have successfully applied their skills. It is disappointing that there are anglers who are either ignorant of Fishing Manners – or are just plain rude. Fishing is meant to be a relaxing, stress free, enjoyable activity. Maybe there needs to be consideration by TFAC to get Manners onto the license. I think it is possible and will ask our TFAC rep to present this to TFAC. In walking down river from the Bain carpark, I notice that a quad bike is being used to travel downstream. The track is full of muddy puddles and the use of a bike does not help. Further, our right of access is granted to walk only. It would be a great pity if this was to be removed. Pool names of the Tongariro River are often individualised despite the maps of the river with designated pool names. I call the pool between the Bain and the Log, the Japanese Pool. 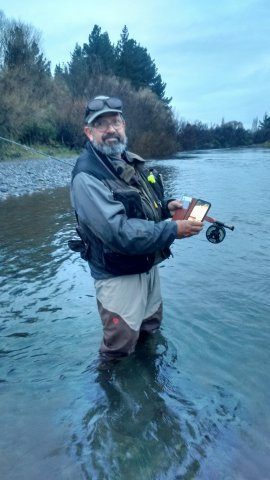 Not so many years ago a Japanese couple from Tauranga fished further down the river before Smallman’s bend as it was then. It was a particularly productive Pool. We always knew well in advance if they were there catching fish as their Collie dog’s bark could be heard from a great distance. If they could not get to that particular piece of water, then their second choice was this pool and so we called it the Japanese Pool. It, also, was a very good pool to fish and since the flow down the true right has increased it has once again become a good pool. Last week however, in a non flood event, the pool was ruined with this debris in the centre of it. The 3rd reading in Parliament sees the Ngati Tuwharetoa Settlement finalised. The Taupo Weekender of July 19 reports that the Protecting Lake Taupo project was formally signed in 2007 – a ground breaking partnership between Waikato Regional Council, Taupo District Council and Central Government working with Tuwharetoa Maori Trust Board and local landowners to prevent a decline in water quality. The action over the next two years is to ensure that the gains made are maintained. Reappointment to WRC Taupo zone committee. I have been reappointed to the Waikato Regional Council Taupo Zone committee for the next two years. I have found my time on this committee very useful as in most things networking is important. Community representatives including me are: Mike Barton, Jane Penton, Paul Green, Barry Pope , Cam Speedy, Eric Wilson and Sue Yerex. The committee includes Cr Kathy White of WRC, Dave Lumley of DOC, Taupo District Council Cr Rosanne Jolands or alternate Cr John Williamson,Genesis rep, Natalie Haines of Mercury Energy, Jackie Eagan of NZ Forest Managers, Maria Nepia of Tuwharetoa Maori Trust Board, Stu Kneebone as Chair of WRC Integrated Catchment Management Committee and either Chair of WRC Council Cr Alan Livingstone or Deputy Chair of Council Cr Tipa Mahuta. In the previous session Sue Yerex was Chairperson and Barry Pope Deputy. If you have concerns to bring to the attention of this Committee and through to WRC you are welcome to contact me. This pamphlet came with my fishing license. Jared from Sporting Life holding a fish (the colour of which I have seen a few this season) and offering a prize of $1 million dollars. Only on very close reading did it dawn on me that it was for 2019. I think it will appeal to some. A browse of the site is informative. This evening I went downstream for a late afternoon fish and had the pool to myself until this angler appeared. Without rod he walked the shallows and we had a brief conversation. He had lost his cell phone a couple of hours earlier. While we talked he had that euphoric emotion of spotting his phone in .3 of a meter of water. He reached in, took hold of his phone and wonders to tell, it still worked. It was a Samsung and was reputed to be waterproof. I know that it still worked as he phoned his wife who was fishing further downstream, and she came to join in the happy outcome. 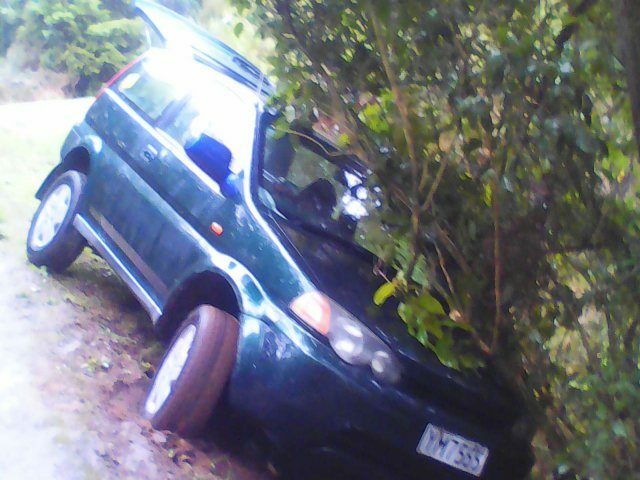 On my return home Last night we had received photos,by email, from a neighbour. 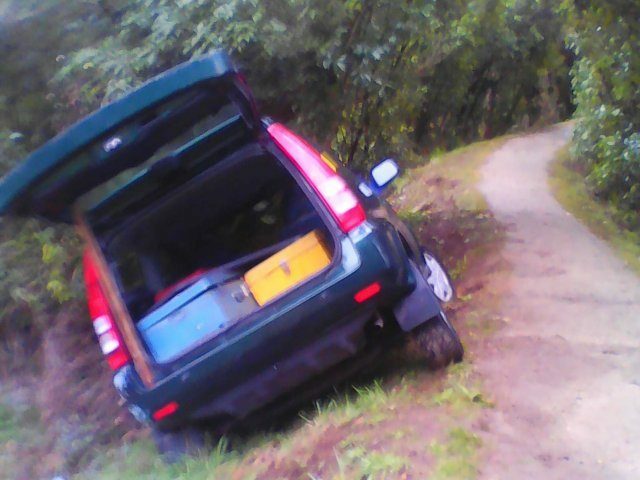 One wonders what a vehicle was doing on a walking cycling track. I hesitate to guess but I know that when we formed the Tongariro River Trail that it was not for driving vehicles on.